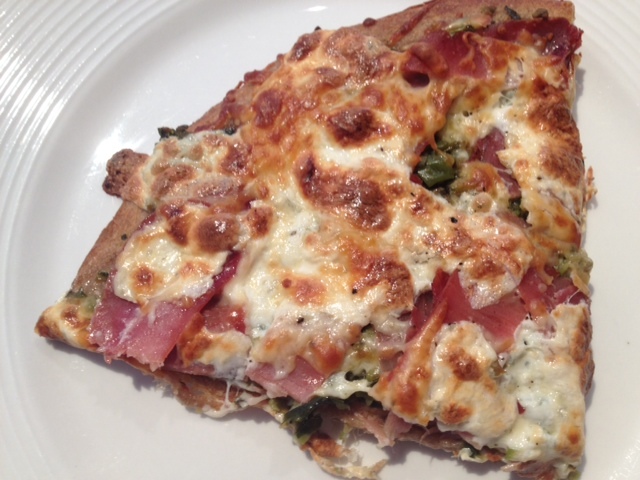 Pizza is not something I eat often, so when I decided to make one as a special treat, I wanted to use my favorite fresh and flavorful ingredients. As you may have gathered by now, I love all things salty. Cerignola olives (my favorite type of olive) have a subtle tangy and salty flavor, so I wanted to feature them on this delicious whole-wheat pizza along with other scrumptious ingredients. This pizza was heaven! 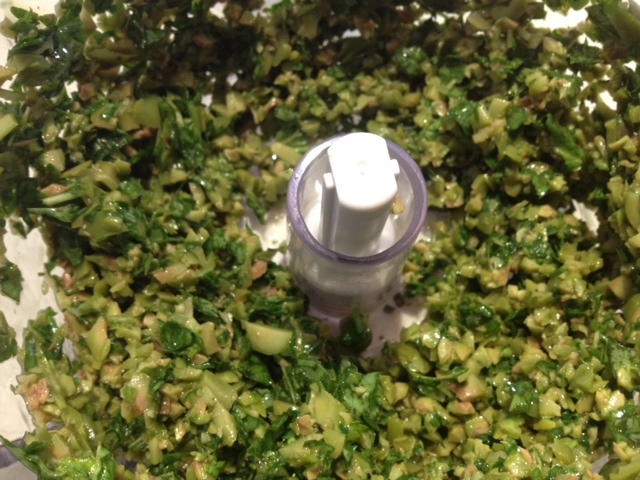 Begin by doing a rough chop of the olives and basil in the food processor (as shown below.) 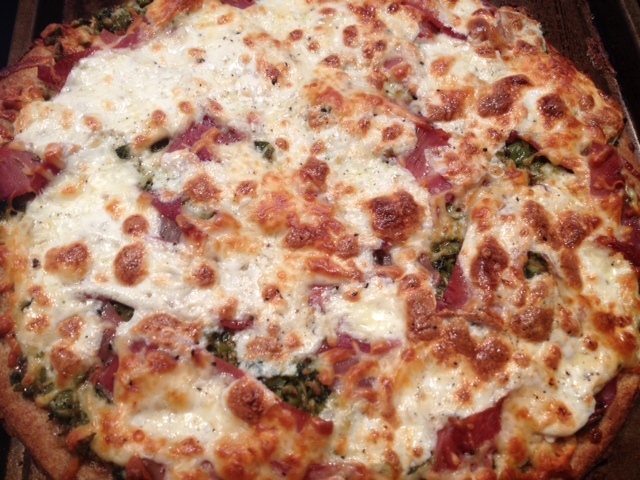 Take the chopped basil and olives and spread it onto the pizza crust, as you would do with a sauce. 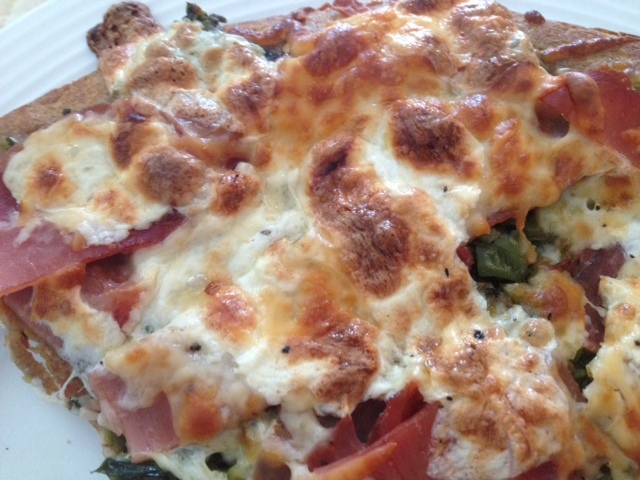 Layer on the prosciutto and the fresh mozzarella and then top with the shredded Italian-blend cheese. Season lightly with fresh-ground black pepper. Bake in the oven on 375 degrees for about 30 minutes until the cheese is melted. To brown the cheese, you can turn the oven to broil for about 5 minutes at the end. ← Chinese Chicken Salad Chow Down.